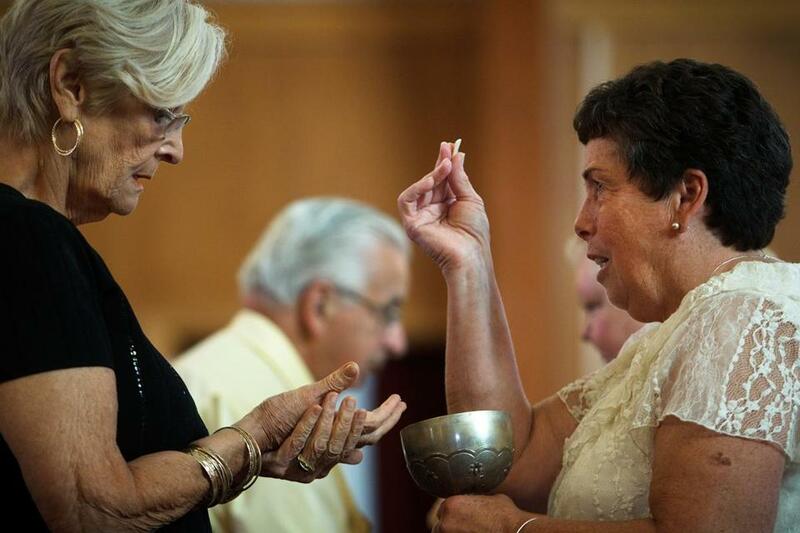 Patty Litz (right) offered communion to Nancy M. Shilts during Mass Sunday at St. Frances X. Cabrini Parish in Scituate. 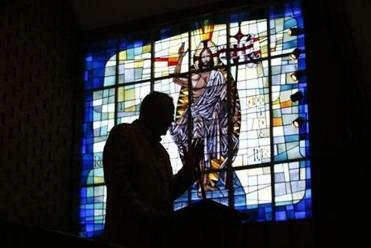 A parishioner group voted unanimously to ask a canonical advocate to argue that the Boston Archdiocese exaggerated its financial woes to justify closing the church in 2004. 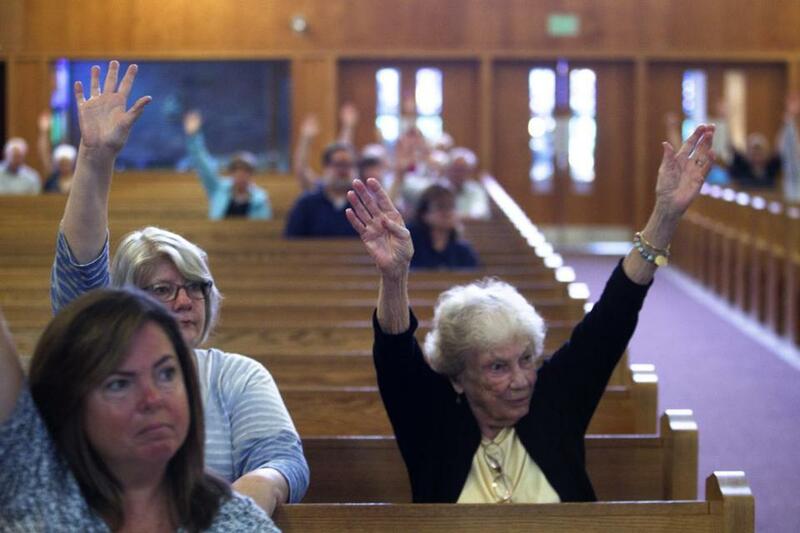 SCITUATE — Parishioners who have been occupying the officially closed St. Frances Xavier Cabrini Church for nearly 10 years voted Sunday to make a final push to reopen it, defying a request from the Boston Archdiocese to accept the decision of a Vatican court and leave the building. In an e-mail, a spokesman for the archdiocese said it was committed to financial transparency and called Borré’s interpretation of archdiocesan financial records inaccurate and simplistic. The cardinal is asking the parishioners to accept a Vatican court’s ruling that effectively ends their occupation of the building. Read: Sign up to be notified when Crux, a website covering all things Catholic, launches. Donilon said the surplus cited by Borré consists mainly of funds that parishes raised for themselves. Although the total amount is reported as a single number in the archdiocese’s annual report, he said, it is in reality divided among many accounts held by individual parishes. Under canonical and civil law, those funds must remain with the parishes that raised them, and generally cannot be used by the archdiocese for other purposes. Donilon said the account that is used to maintain St. Frances and other closed churches lost money in the last fiscal year. Donilon also said St. Frances was not closed solely for financial reasons, citing falling attendance, a shortage of priests, changing demographics, and the presence of other Catholic churches nearby. He has said previously that the archdiocese would not consider selling the building to parishioners and called on them to join other parishes. He has also accused the group of seeking confrontation, a charge they deny. Borré’s last-gasp canonical maneuver — technically, a “supplementary appeal to the truth of the matter” — follows the June decision by the Apostolic Signatura, the Vatican’s highest court, to reject their challenge of the archdiocese’s deconsecration of the church building. That step allows the archdiocese to repurpose, lease, or sell the building. The archdiocese considers the ruling to be final and asked parishioners to respect it. Margy O’Brien, of Scituate, voted with both arms to keep fighting to keep the St. Frances X. Cabrini parish open. Rogers said that despite the longstanding animosity between the Friends and the archdiocese, his group still wants to rejoin the Catholic Church and work for reform from within. But Nappa and other parishioners said that the 10 years they have spent outside the church has only deepened their distrust of the Rome-based Catholic power structure. That leaves open the question of whether reconciliation is possible, even if parishioners score an improbable victory over the archdiocese. Many of the diehard parishioners who remain in the Friends have been coming here for decades. It is clear their strongest ties are to each other, and that their identity as Catholics is rooted in this particular church, not in Rome. 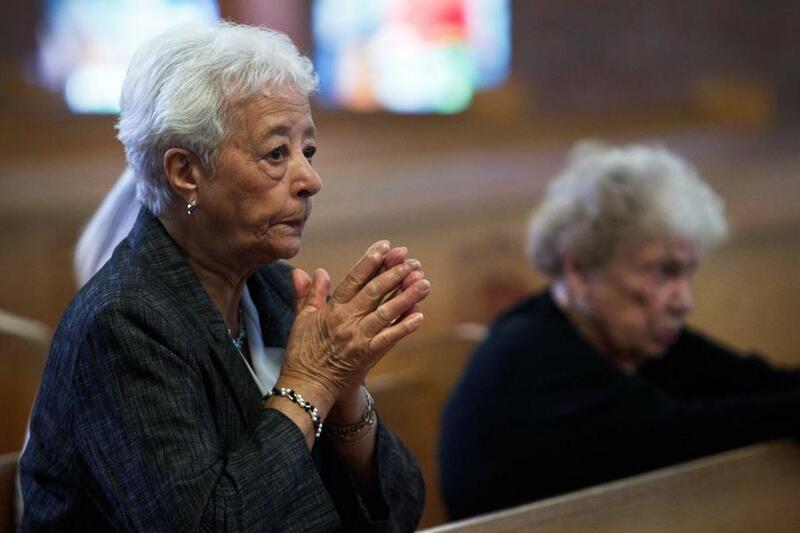 Mary Fernandes prayed inside St. Frances Xavier Cabrini Church. Dan Adams can be reached at dadams@globe.com. Find him on Twitter at @DanielAdams86.